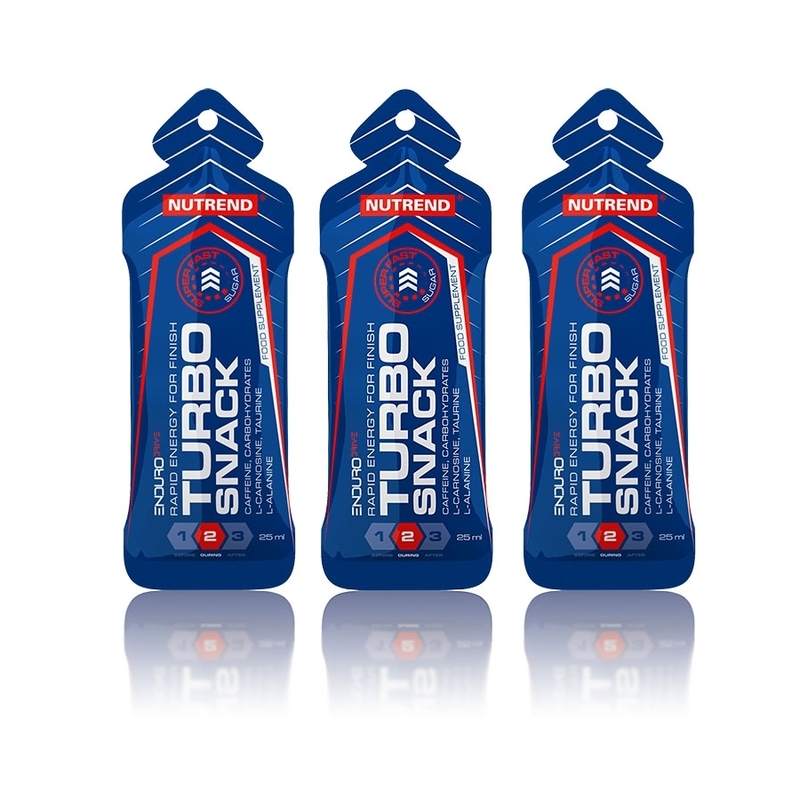 TURBOSNACK is a unique form of very fast energy for the final phase of endurance and speed endurance performance. 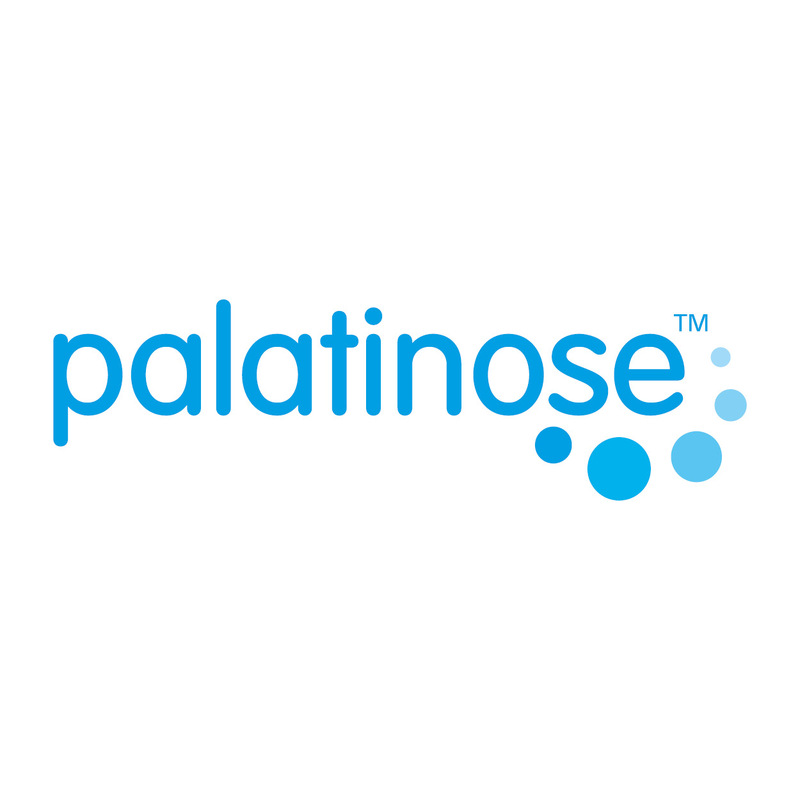 It contains the synergistic functional substance L-carnosine (beta-alanine dipeptide and L-histidine), L-alanine, taurine and caffeine. 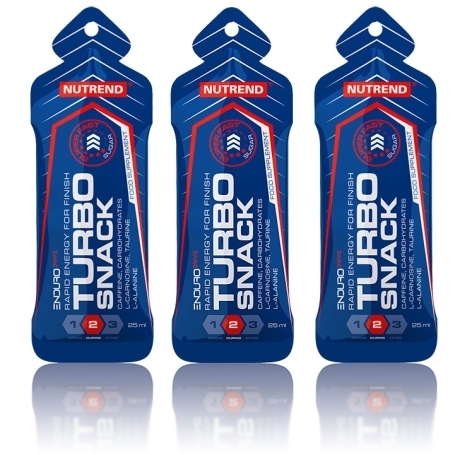 TURBOSNACK is a unique form of very fast energy for the final phase of endurance and speed endurance performance. 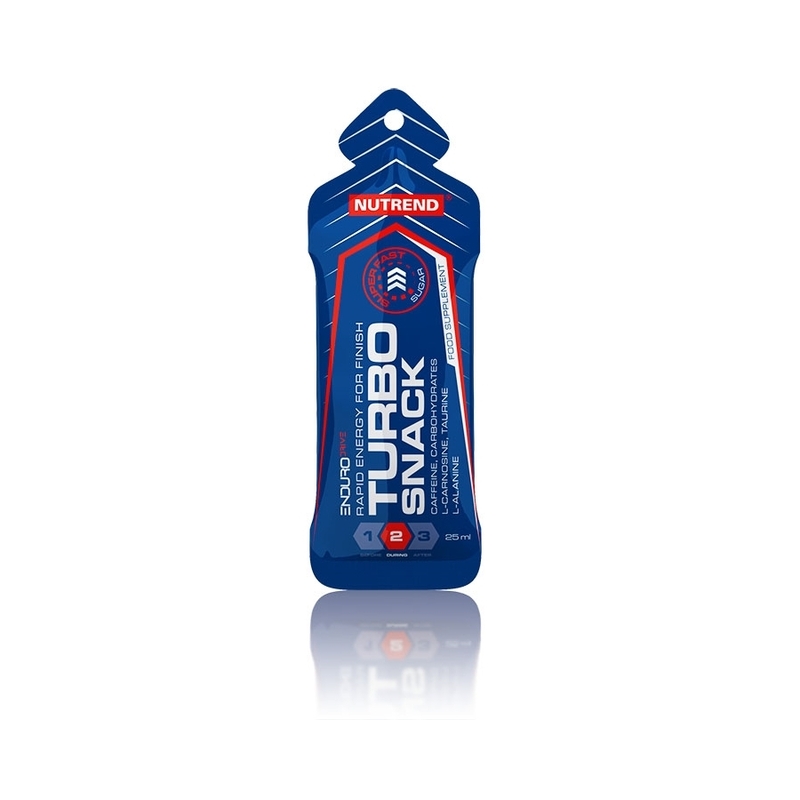 It contains the synergistic functional substance L-carnosine (beta-alanine dipeptide and L-histidine), L-alanine, taurine and caffeine. 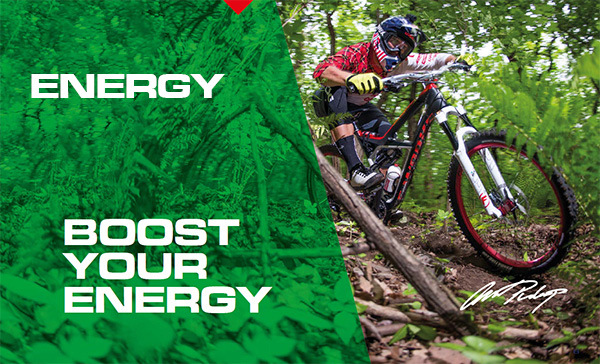 A very fast form of energy in liquid form. 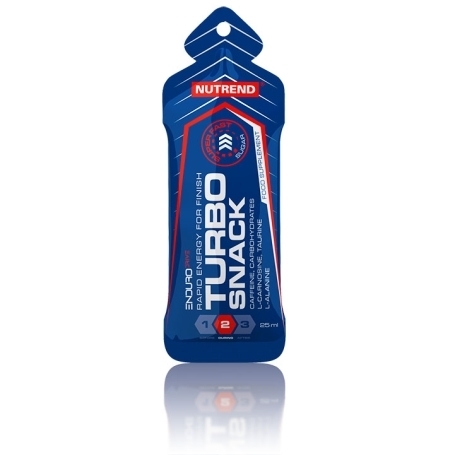 TURBOSNACK is specially designed for the final phase of endurance and speed endurance performance, when the liquid form of simple sugars, along with other active substances, enables faster absorption. 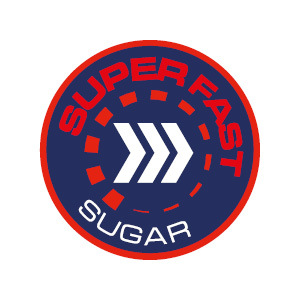 Intended for: fast energy supply and concentration support in the final phase of performance (last fast kilometers, final ascending etc.). 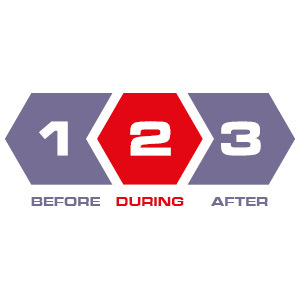 Recommended dosage: 1 sachet in the final phase of the exercise (approx. last 20 minutes, final 5 kilometres). For better absorption it is recommended to follow with a sports drink. Do not exceed the recommended dosage.